Thomas is awoken on Christmas Eve by a mysterious voice. He is magically transported to a strange and troubled land, Semdar, where the ‘wicked’ Torga has banished Christmas forever. Only he can break the spell but time is running out. When he is captured by silver wolves and taken to Torga‘s frightening castle, all appears to be doomed... but does Thomas manage to save the day? 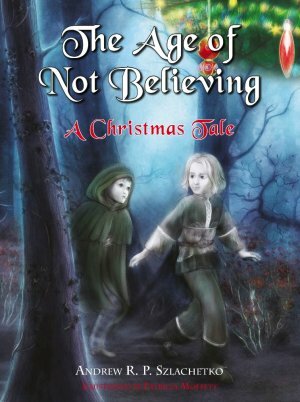 The Age of Not Believing is a magical new Christmas story for children. 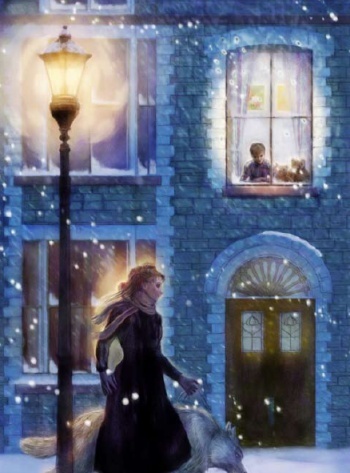 It is beautifully illustrated, classical in style and it is sure to please as it is to surprise! It was Christmas Eve and Thomas was getting ready to go to sleep. He was at the age of not believing, which is the age at which children begin to stop believing in the magic of Christmas. He knelt down by his bedside to say his evening prayers and, as he finished whispering his blessings, he looked out of the window.